Featured artist at the Alki Bathhouse this quarter is Jason Astorquia, showing paintings in acrylic on canvas. “A local for going on eight years now, I have been inspired to paint by my wife and other West Seattle artists. Art day with Cara and Rowan (age 3) has become a passion. 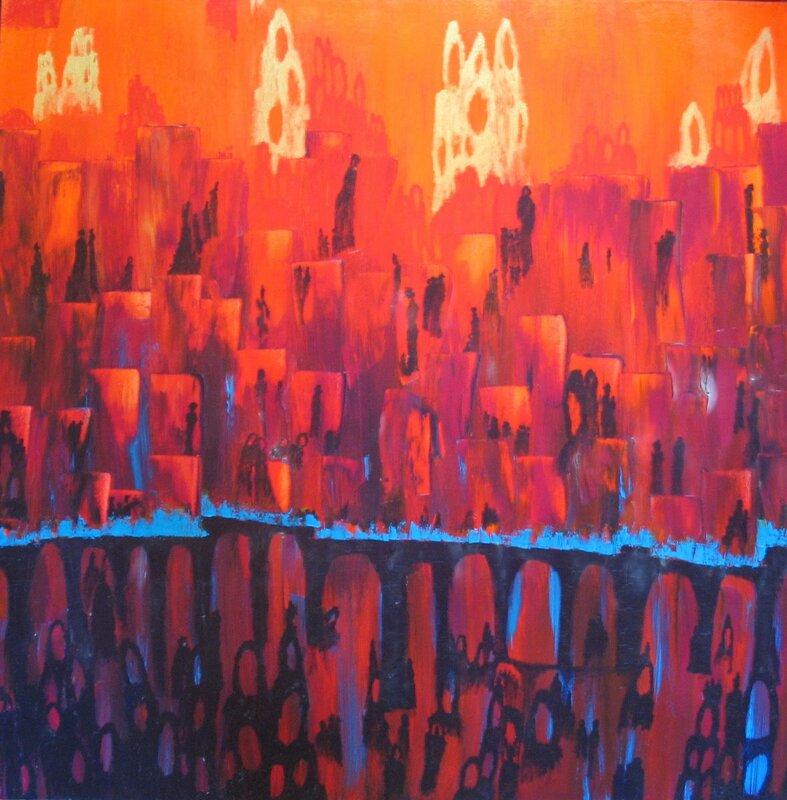 I experiment in abstract nature, architecture, figures, colors, concepts and process. Also showing are painters Barbara Benedetto, Colleen Doherty, Talese Heckler, Patri O’Connor, Michael Raney, Donna Stewart, and photographer Laurel Mercury. Please join us for refreshments!